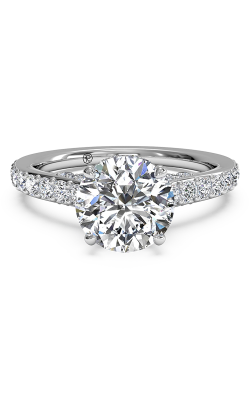 The concept of the “side stone” engagement ring simply refers to a ring on which multiple smaller jewels decorate the band and add gleam to the engagement ring. 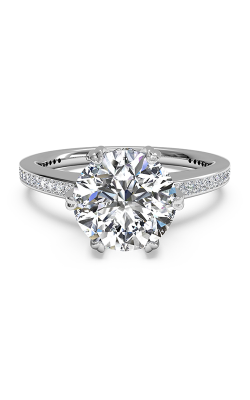 Opposed to a three-stone ring, which features two jewels of comparable size on either side of the center stone, the side stone design tends to favor many petite gems. 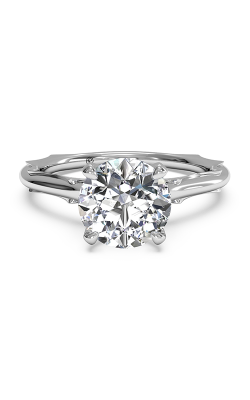 This creates the effect of a ribbon of light that wraps elegantly around a fiancée’s finger and signifies her perfect love. Here at Damiani Jewellers, we’re pleased to be able to bring a radiant showcase of high-quality side stone engagement rings to our customers. 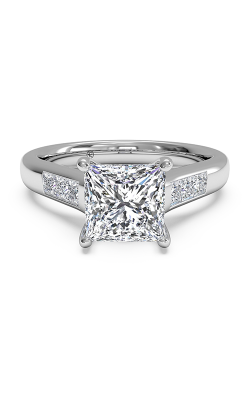 ArtCarved is one of the most genius designers in the jewelry industry today. The Contemporary collection, for example, embraces ultramodern chic in its designs. Two-tone engagement rings pair ropes of rose gold beneath diamond-studded white gold, twisted bands of white gold whose side diamonds roll above and below each other, and more. 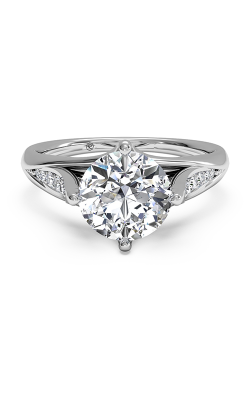 The ArtCarved Classic collection proves that “classic” doesn’t mean “old-fashioned,” thanks to the graceful pave-set side diamonds and flowers delicately crafted into the crowns of their engagement rings, reminding the viewer of a piece of Art Nouveau beauty. In either case, the diamonds selected by ArtCarved are nothing but the best! 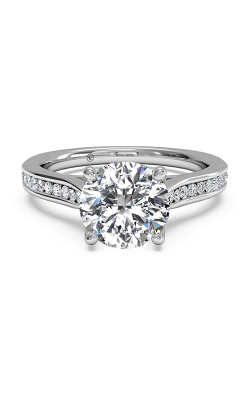 At Damiani Jewellers, we also carry the beauty of Ritani. The side stone engagement rings from Ritani show how the placement of the side stones can radically alter their appearance, adding a sense of mystique and grace with just a different setting. The Ritani Classic collection has some of the most inventive settings in engagement rings. 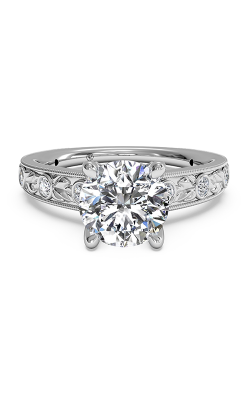 A bride-to-be can find bezel-set side diamonds that create a vintage look nested among palladium vines. 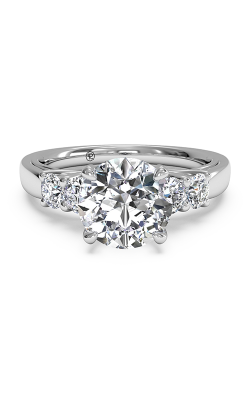 Those same cuts of diamond look phenomenally modern when they’re individually set in “beads” of pure platinum. Fond of channel settings? 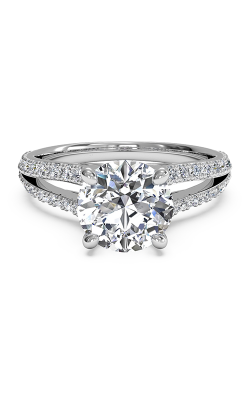 This is also the collection that really masters the style. 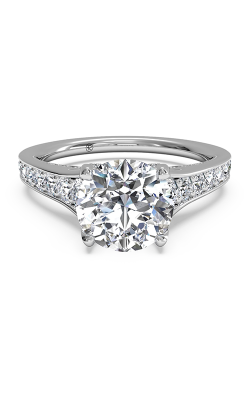 Why Shop for Side Stone Engagement Rings at Damiani Jewellers? 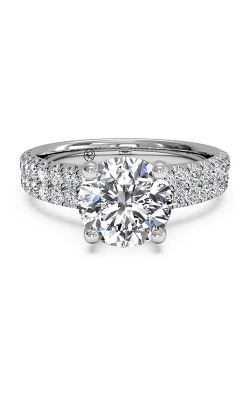 Over 60 years ago, Damiani Jewellers opened its doors, and since then, we’ve been trusted by women across the Toronto area to bring them the most gorgeous collections of side stone engagement rings. Don’t forget, however, that we’re also the number one retailer of three-stone engagement rings, solitaires, and halo engagement rings, as well as matching wedding bands to make your bridal set complete. 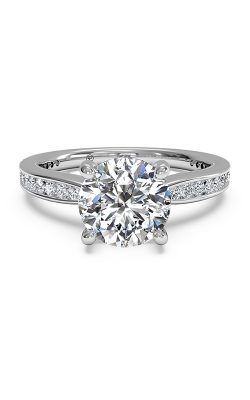 Our showcases of fashion jewelry and Swiss-quality timepieces are sure to impress if you’re looking to add a little class to your daily look. 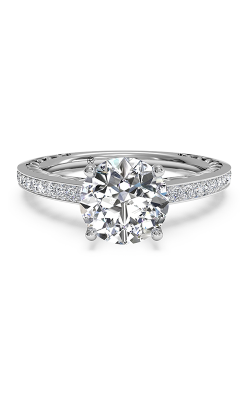 If you’re interested in our side stone engagement rings or services, call us at 905.850.4653, or visit us at our Woodbridge, Ontario showroom!